What happens when you take a Mercedes SLS AMG, strip out the superfluous baloney, amp-up the engine and install race seats, gauges and gear? 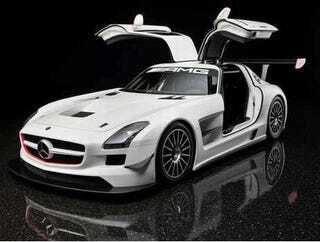 You get this — the factory-built Mercedes SLS AMG GT3 racer. Awesome.